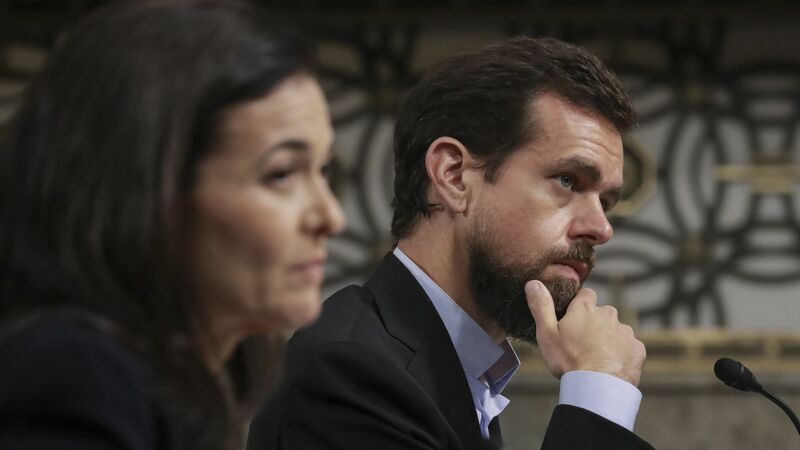 Facebook COO Sheryl Sandberg and Twitter CEO Jack Dorsey stayed out of trouble on Capitol Hill on Wednesday, with fewer-than-expected heated exchanges with lawmakers over content bias and election interference issues. Yes, but: Between the two hearings, the Justice Department dropped a surprise announcement: Attorney General Jeff Sessions will meet with state attorneys general this month "to discuss a growing concern that these companies may be hurting competition and intentionally stifling the free exchange of ideas on their platforms." The big picture: A boring day in Washington is a good one for Silicon Valley. Despite hearing statements, lawmakers aren’t anywhere close to taking action to address their frustrations with the social media platforms. Several even acknowledged the work the platforms have done to address the problems they've encountered over the past year. Lawmakers did, however, make a point to note the absence of Google, which declined to send a top-ranking executive. Despite the relative calm of the hearings, the unexpected DOJ statement raises the prospect of antitrust action against the companies. The Washington Post reported that the September 25 meeting was planned before Wednesday. House Energy and Commerce Chairman Greg Walden declined to comment on the announcement, but said he had questions about the “enormous market share and power” of web giants. “I’m not going to speak to the Justice Department angle but it is something we’re serious about and we’re trying to work our way through to see what’s the appropriate balance here,” he said shortly after the five-hour House hearing with Twitter's Jack Dorsey. The combination of policy concerns about competition with the politically contentious allegations of online censorship — not long after President Trump spent a week hammering them — is already raising alarm bells for some.